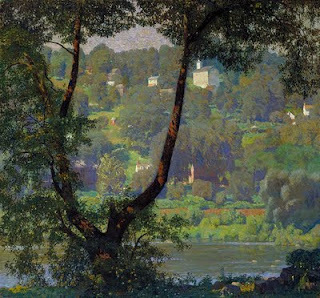 Today's painting is by American Impressionist Daniel Garber. He did several versions of the above scene in different seasons. I'm especially fond of this artist because of his many depictions of Pennsylvania landscapes. The colors he chooses really capture the atmosphere of our state. 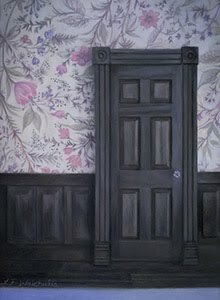 If you would like to visit some of the actual locations that inspired the paintings, the Michener Art Museum lists driving directions to the places featured in his work.